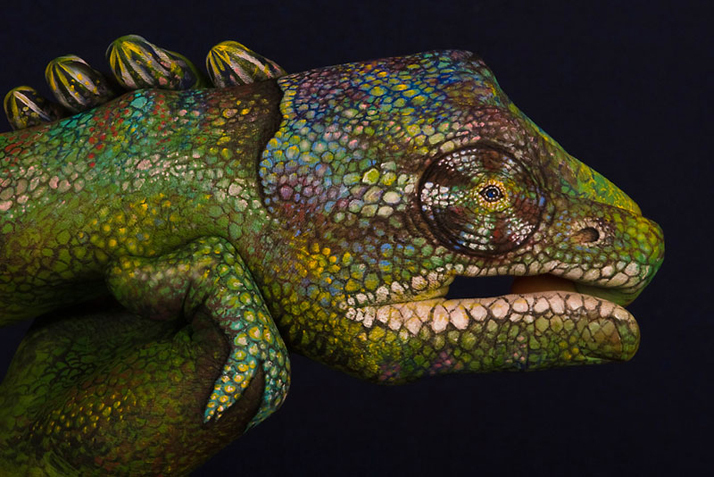 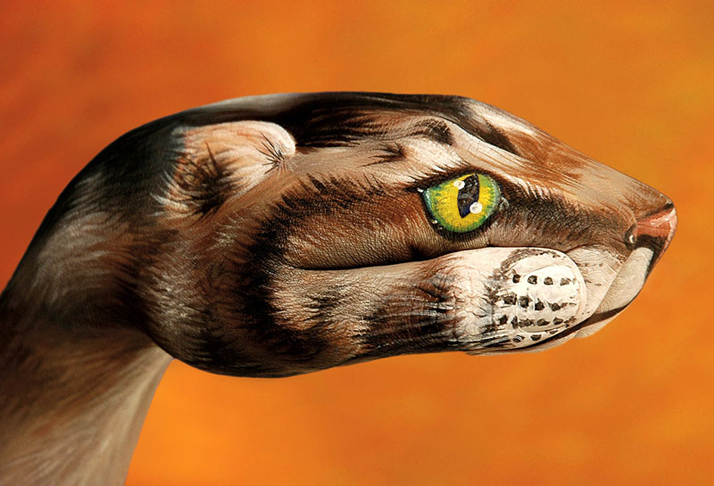 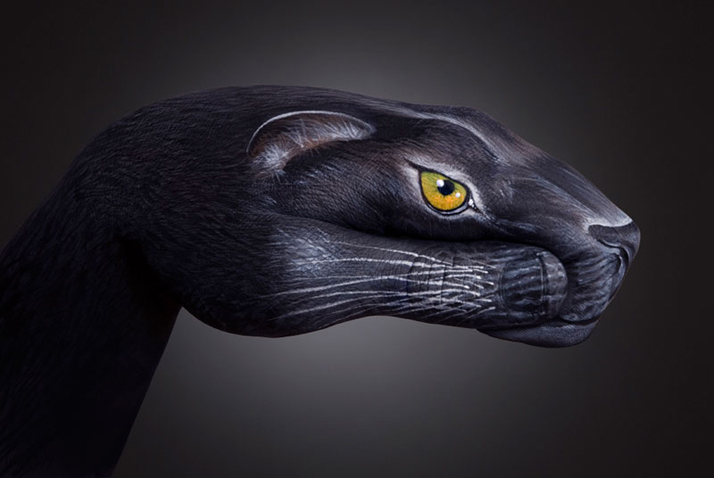 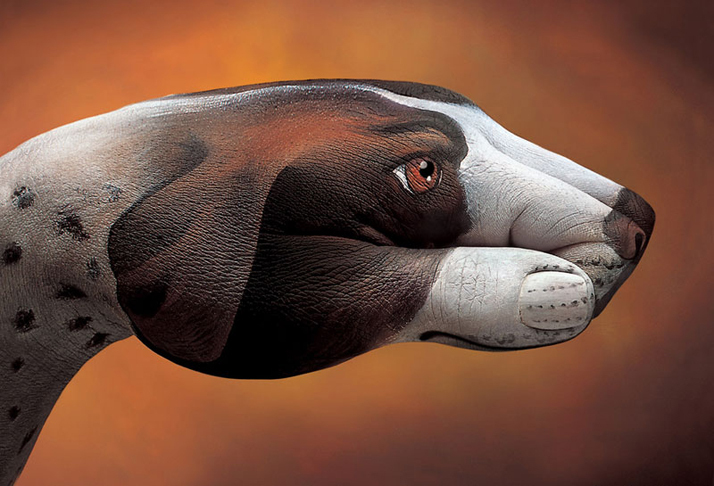 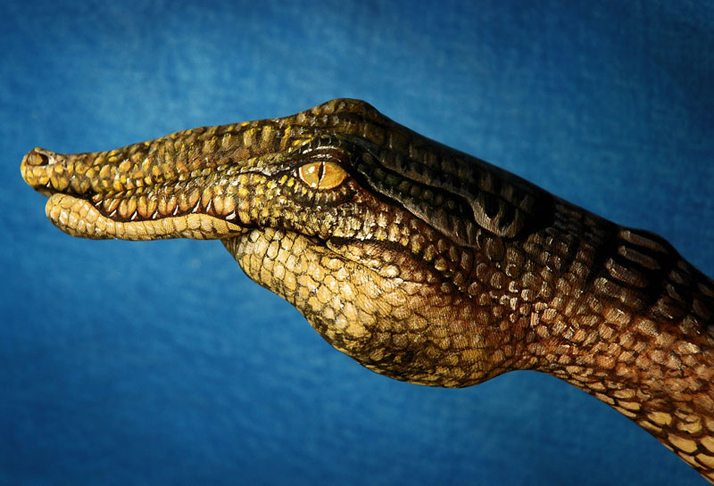 Amazing series of animal hand paintings by Italian artist Guido Daniele. 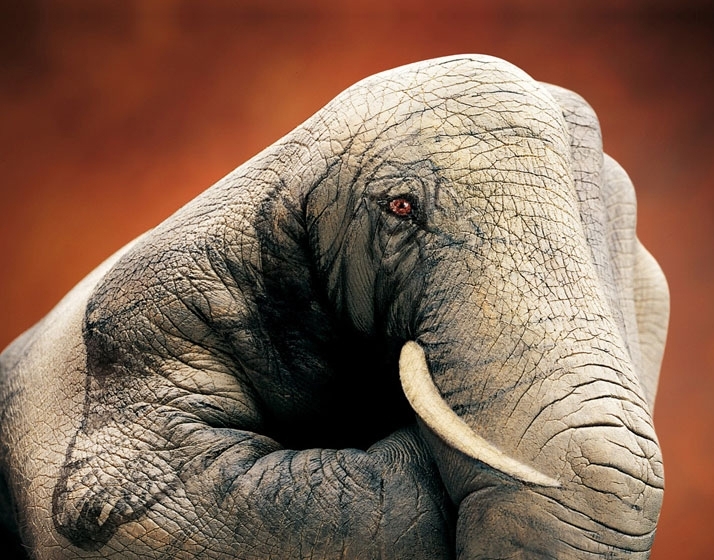 Guido Daniele was born in Soverato (CZ - Italy) in 1950 and now lives and works in Milan. 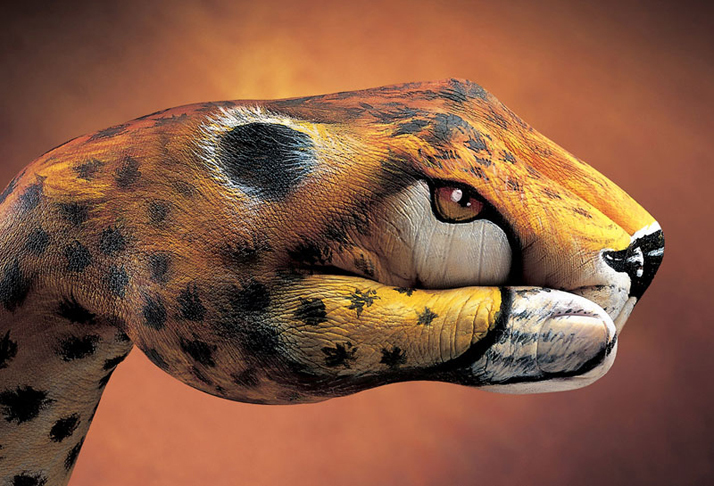 Since 1964 until 1968 he attended Brera artistic High School and he graduated from Brera School of Arts (major in sculpturing) in 1972. 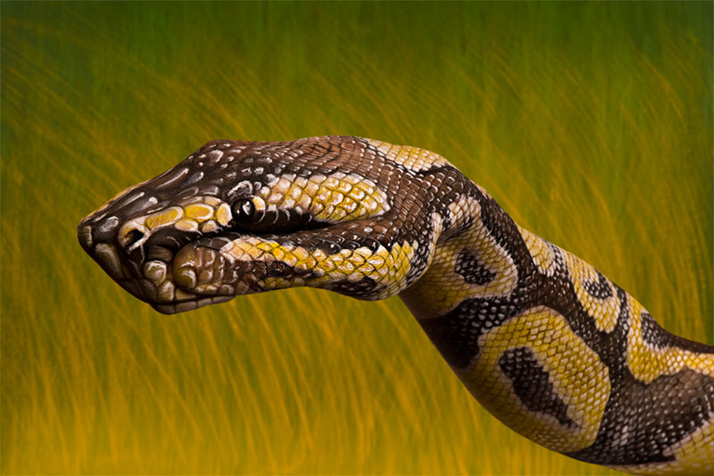 He lived in India since 1972 to 1974 where he attended the Tankas school in Dharamsala. 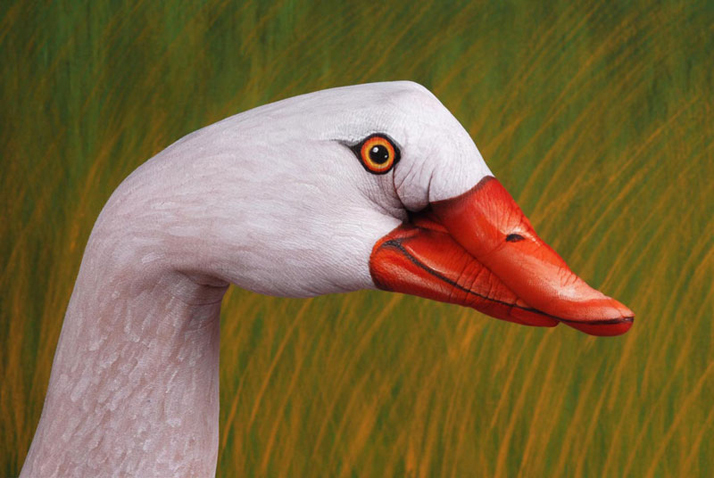 Since 1968 he has been painting and participating to personal and group art exhibitions. 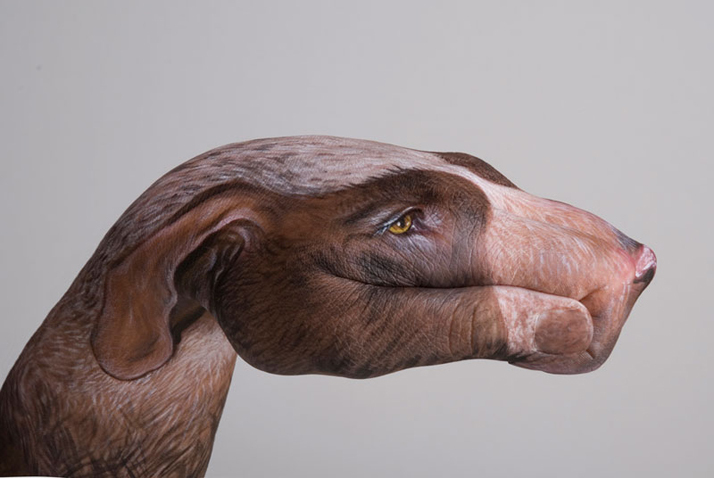 In 1972 he started working as hyper-realistic illustrator, in co-operation with major editing and advertising companies, using and testing different painting techniques. 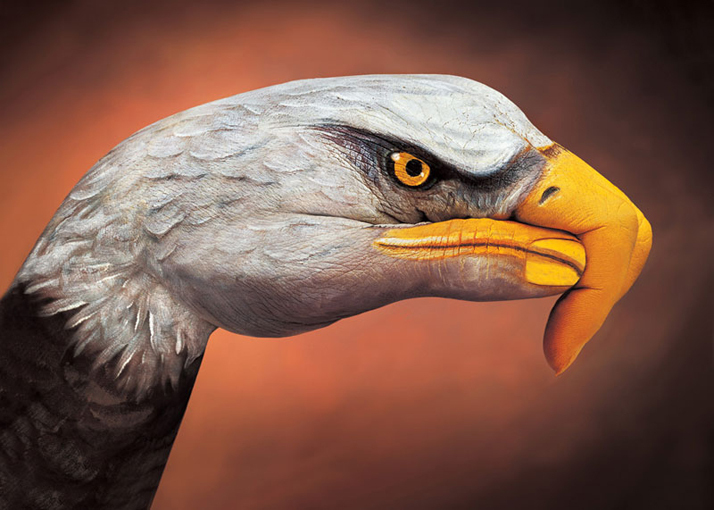 Since 1986 he has been working and improving his personal usage of airbrush: he paints back-stages in different sizes (the biggest ones can be 400 square metres) for artistic and advertising pictures, tv commercials and tv programmes. 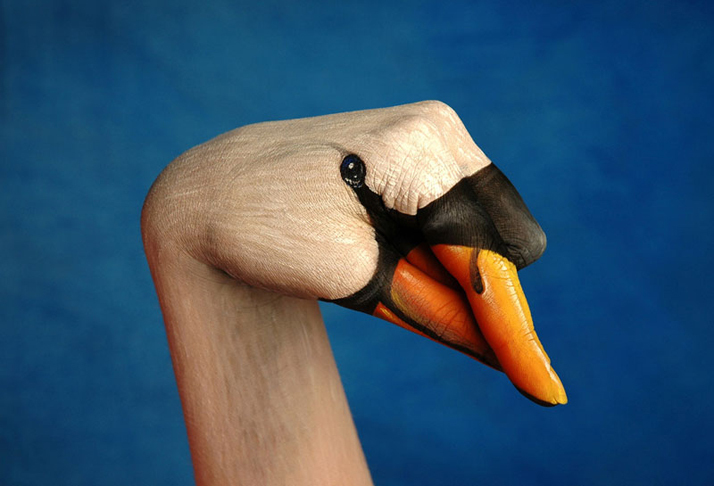 He also creates trompe l'oeil, both in private houses and public buildings. 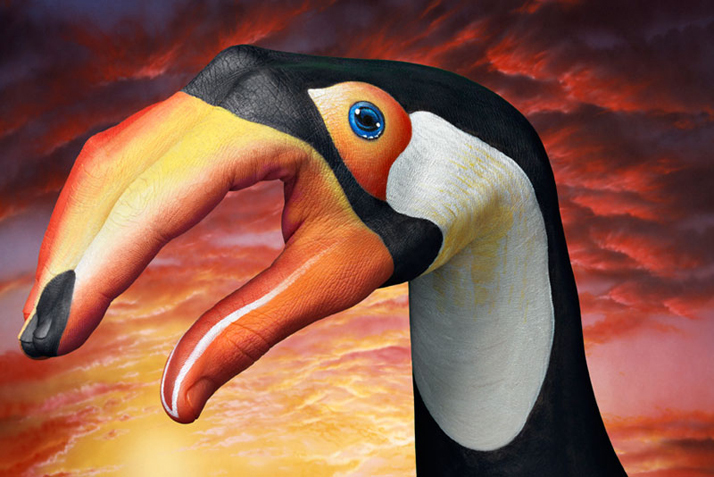 In 1990 he added a new artistic experience to his previous ones: using the body paintingtechnique he creates and paints models bodies for different situations such as advertising pictures and commercials, fashion events and exhibitions. 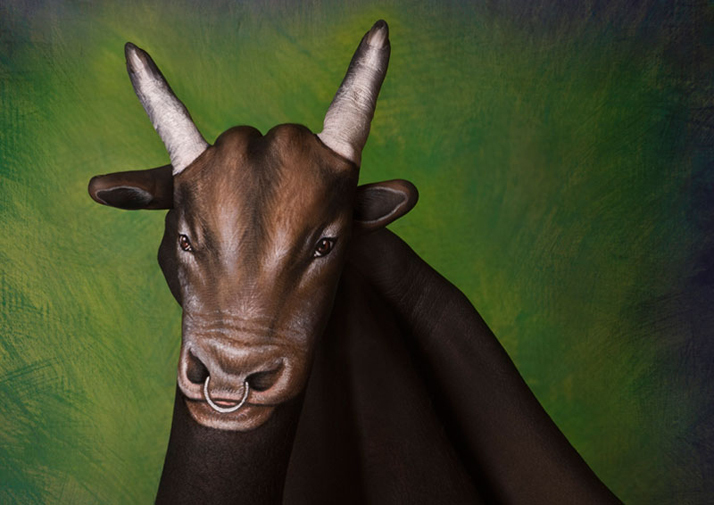 His personal artistic research has recently led him to the combination of the two traditional portrait techniques, which are photography and oil painting, laied on photographic support in the same way as Jan Saudek.